Let’s face it, no matter what it smells like, be it rotten eggs, garlic, or even worse, bad breath stinks. And if you’re like most people, you don’t care what the smell is, you just want to get rid of it! The harsh reality is that bad breath is made up of a complex set of odor compounds. In order to get a complete diagnosis of the primary cause of the problem, more than just the popular Halimeter® test is needed. Bacteria love the dark, moist, air-deprived areas in your mouth because they can easily live on the proteins and sugars found in your saliva, dead mouth cells, blood cells, food particles and mucous. Those with allergies or sinus problems usually have protein-rich post nasal drip that collects on the very back of the tongue. In time, the bacteria feeding on this mucous will produce waste products in the form of Volatile Sulfur Compounds which creates a thick, whitish biofilm coating on the tongue. In other words — more odor! Here is a list of the eight most common odor compounds causing bad breath/halitosis and their resulting smell. The odors highlighted are sulfur-based and can be measured by the Halimeter®. What if your breath odors are comprised of the other odor compounds? How can this be evaluated? While there is no “single” test that measures the severity levels of every odor found in the mouth, from over 25 years of diagnosing and curing bad breath, I have found the combination of four different tests can accurately establish a complete diagnosis. Here’s what we use at the National Breath Center ……. Halimeter® Reading. This measures the levels of volatile sulfur compounds (VSCs) in the breath. The reading is compared to a scale that I developed over the last 20 years to discern severity of bad breath. Organoleptic Test. This is a certified way of measuring bad breath and is considered the gold standard. While the name may seem intimidating, this “smell test” measures the intensity of the odor and is rated 0 – 5 where 5 is severe bad breath. Gauze Test #1. Using a piece of sterile gauze, I wipe off the top of the biofilm coating (usually a whitish color) near the back of the tongue to reveal any darker colors which can signify the seriousness of the problem and how long it has been there. We rate and record the odor level from the gauze test sample. Gauze Test #2. The gauze and the tongue biofilm are photographed in detail and used as a visual comparison tool throughout treatment. 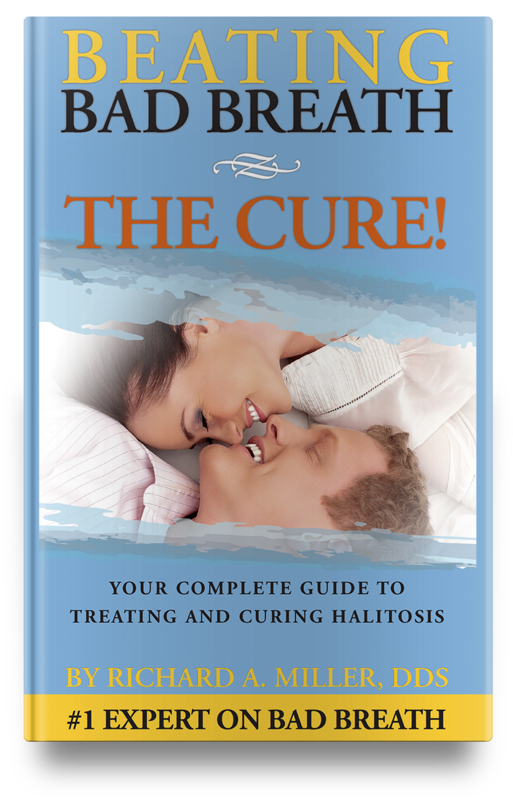 By using all four tests instead of solely relying on the Halimeter® reading, we are able to provide an accurate and more complete diagnosis of an individual’s bad breath/halitosis condition. 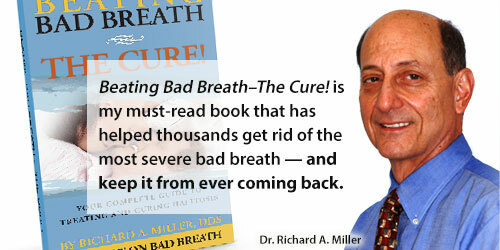 It is important to understand that bad breath is a complex set of odors caused by bacteria. The majority of mouth odors are produced from sulfur-based chemicals which can be detected by the Halimeter®. However, since the same bacteria also produce odors that the Halimeter® does not measure, we use three additional time-proven tests to provide our patients with a complete diagnosis of bad breath severity and a plan for complete elimination of all odors.